Last spring break we went to Minneapolis, Minnesota. We have quite a few friends in Minneapolis, some of whom we hadn’t seen in quite some time and have been missing terribly, plus I was extremely excited to be in the birthplace of #30daysofbiking during #30daysofbiking! Win-win. I’ve only been to Minneapolis twice–once during a four-hour layer returning to San Diego from a visit to my relatives in the Netherlands. On New Year’s Day no less! But it counts because Kristin picked us up at the airport and drove us into town to hang out. And once for John’s fall wedding during which I discovered as a [then] Southern Californian why looking at the fall foliage made me so anxious–I’d been trained from childhood to think “Poison oak! Get away!” when I see red leaves. I’m over that now, by the way. Spending a whole week was AWESOME. We went everywhere and did everything. 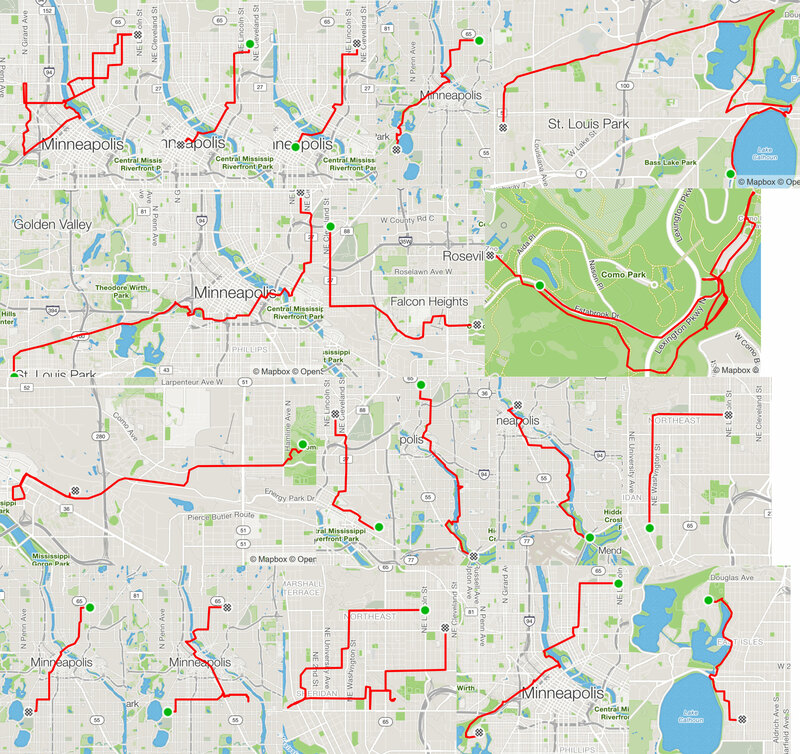 I wanted to make a big overlay map of my Strava recordings, but that proved too much work, so here’s (there -> to the right) a thrown together picture of my maps (click to see it bigger) that hopefully quickly show just how much we were able to get around. Super super huge thanks to Luke of Perennial Cycle for letting me borrow the shop Xtracycle EdgeRunner. 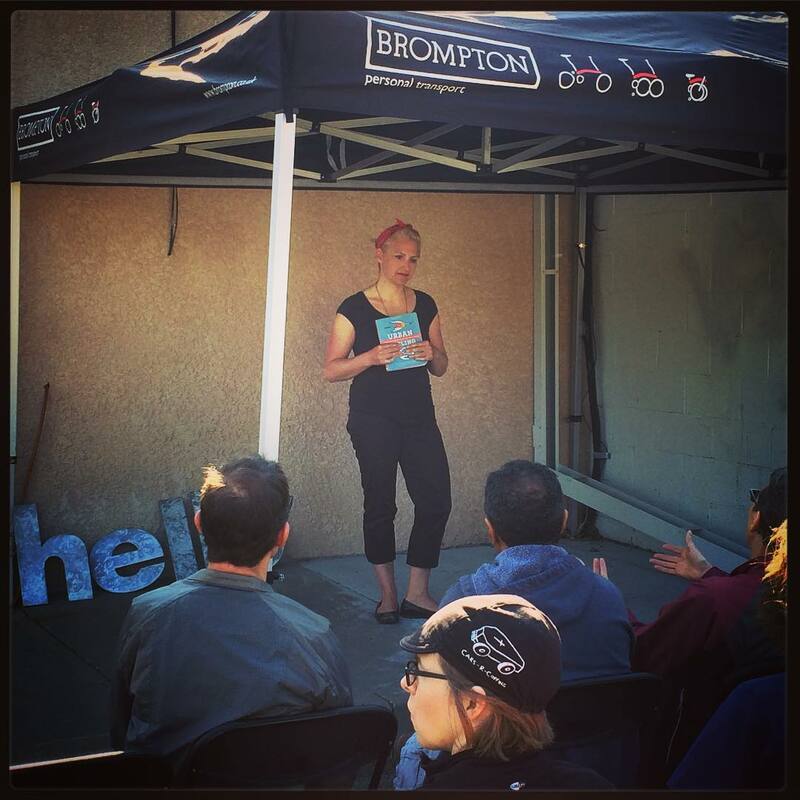 And for inviting me to do an Urban Cycling book talk before the pastry ride. And for having such a cool bike shop! So many people admired the Xtracycle as we explored town. I hope some of those families find their way to Perennial Cycle and join the revolution. Perennial Cycle has lots of different bikes, like anything one could want to commute on, Brompton folding bikes, and the fat recumbent trike my kids can’t wait to grow long enough to fit on. I adore 30 Days of Biking! We attended several events and I got to meet 30DoB co-founder Patrick Stephenson. It’s a wonderful event and I highly recommend you sign up right now. I knew ahead of time that Minneapolis is fairly flat so biking the two kids around was easier than at home, but what I didn’t know to expect was all the terrific bike trails! 83 miles of off-street trails according to this Hennepin County Metro Bike Trails Guide. In Seattle we have some multi-use trails which are great, but in Minneapolis we rode on bike trails with an area of separation and then a separate walking trail. No dodging around dogs on long leashes or worrying about surprising walkers in headphones. And the many trails go lots of places! I kept asking for confirmation that they were used as commute ways and not only for recreation. 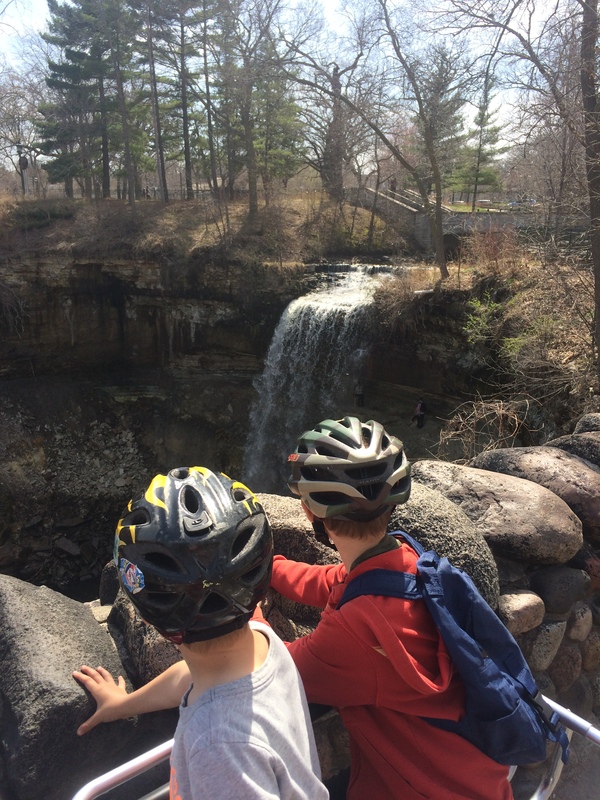 We utilized the to get many places, like friends’ houses, Minnehaha Falls, and Fort Snelling. I didn’t ride a Nice Ride MN bike share bike, but it was fun to see them everywhere. 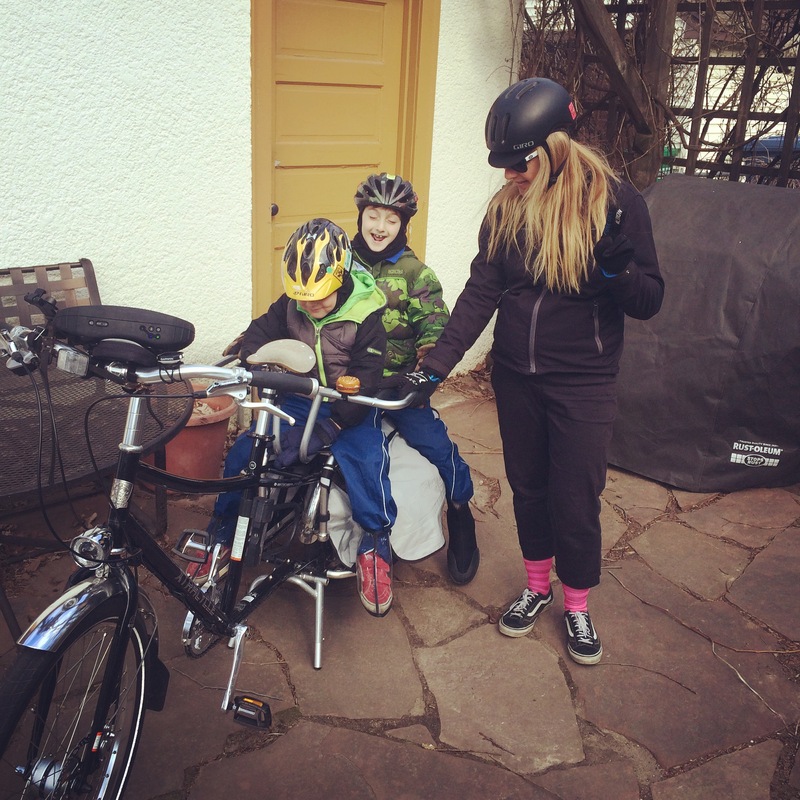 They had just come back out from winter hibernation and everyone–even locals who rode their own bikes everywhere–were so excited about it and declared it the most reliable sign of spring. It was awesome to see a successful bustling bike share system in action (I write this on the day Seattle’s Pronto Cycle Share shuts down). We, uh, often used docked bikes for the kids to climb up for boarding the Xtracycle deck because like I said, they’re everywhere. I’m going to do a quick recap of our week of activities below, with miles per day and links to my Strava maps. Nowadays I have a Garmin Edge 520 that’s easy to record trips with stops, but last year I had a Garmin Edge 25 that was cute and little, but couldn’t be turned off at a stop in the middle of a trip to preserve its short battery life. It stopped working three minutes after the warranty expired, but I’m happy with this new, bigger one. I’m not one for riding fast, but it’s neat to tally how much I ride and it’s very helpful for exploring routes for leading future group rides. And we stopped at Behind Bars Bike Shop on the way home. Cool shop! Obvs we had to visit the Mall of America during our week. I deemed it a bit far for biking to. Plus it was freezing! I flattened my hair over my ears to keep them warm on the ride to the light rail station where we left the bike locked up for the day. The MOA was awesome even though the kids didn’t want to go to the aquarium or in the amusement park. The Lego Store, Brickmania Lego Store, and videos at the flight simulator store were excitement enough for them. 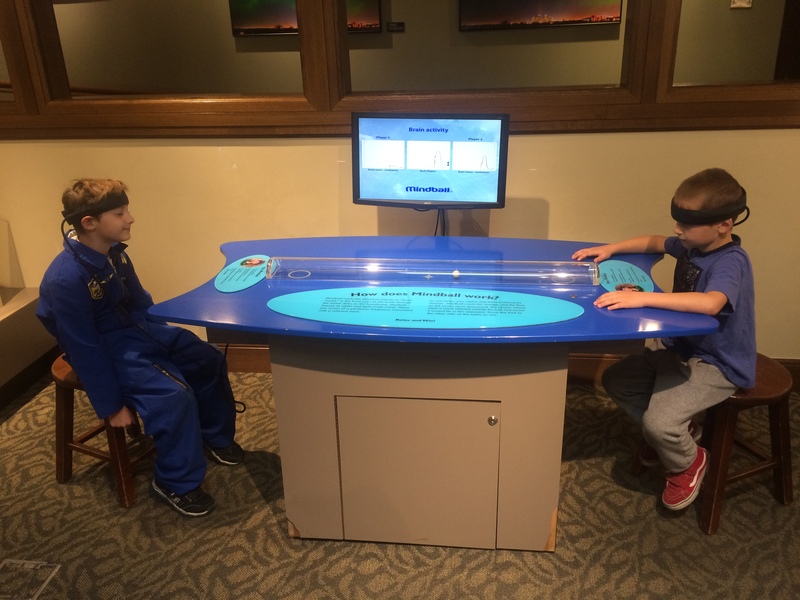 First up The Bakken Museum: The Electricity of Life. Small, but so cool! The kids loved every single exhibit. Then we followed our friend James out to his house for a sleepover with his family (four fun kids!) through the snow! 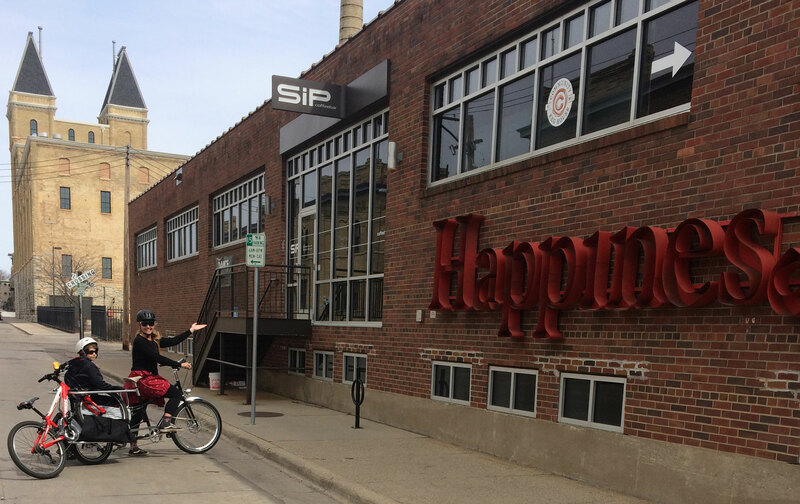 To quite Patrick in the Surly Brewing interview I linked above when asked why 30 Days of Biking is in April: “Because April is the confluence of all seasons. You could get a shock snowstorm. It could rain. It could be a perfect beautiful spring day with the birds chirping and the green leaves and the flowers blooming.” And indeed we got the full spectrum! The weather Wednesday was terrific so we spent the day at the park walking distance from our friends’ house after some sharing of kid bikes in the street out front. 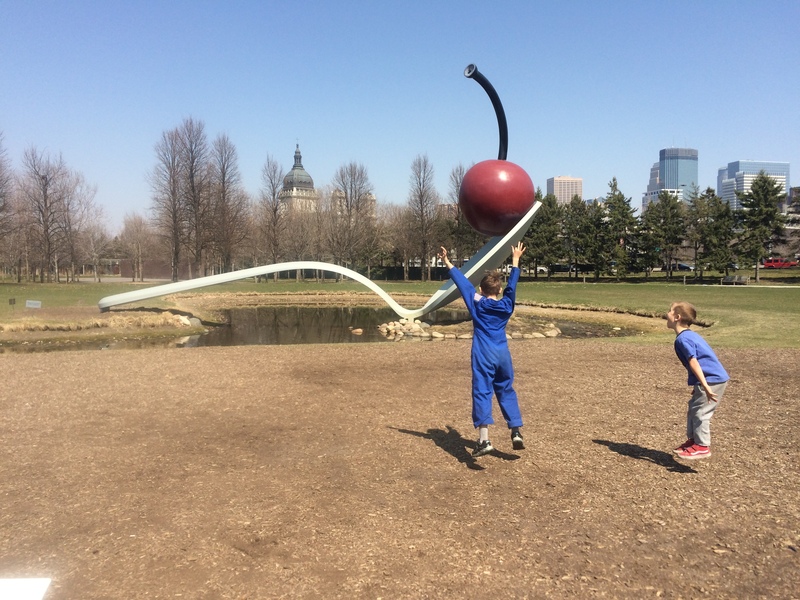 And we swung by the Spoonbridge and Cherry on our way back home. This was the only time things were a little tricky for biking due to some construction and busy roads. I probably didn’t take the best and more direct route from the bike trail to the spoon, but we made it just fine. I certainly see why Minneapolis is one of the best places for biking in the US. 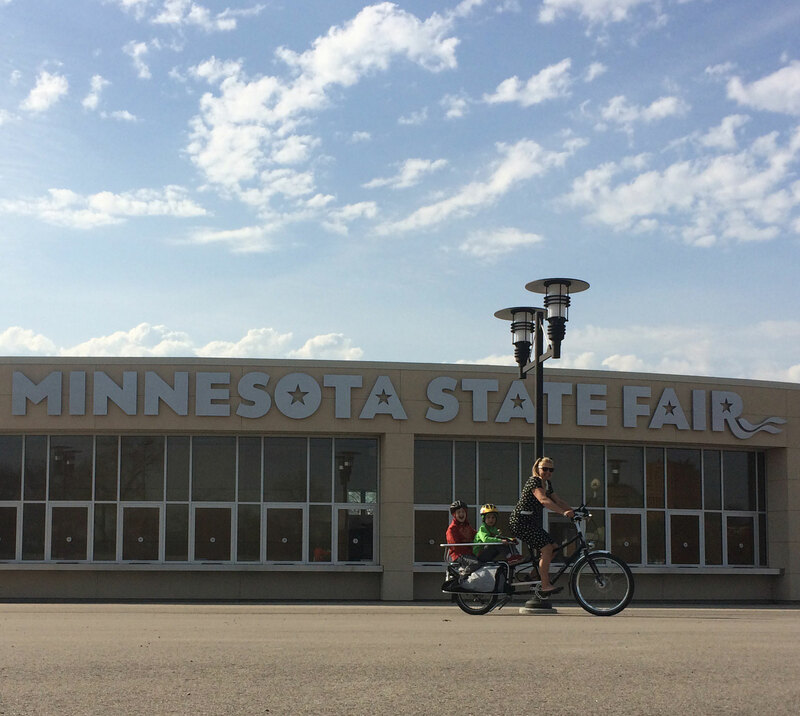 We made it into St. Paul to visit the Como Park Zoo–via the Minnesota State Fairgrounds. I biked us through just to check out the deserted fairgrounds, but it also served the purpose of keeping us off busy Como Avenue, an unpleasant experience on our way back home. We had lunch with Anthony Desnick, then director of Nice Ride MN where I got the inside scoop on Mississippi River Paddle Share. We’ll have to come back when the kids are tall enough to fit on Nice Ride MN bike share bikes so we can bike/paddle/bike! 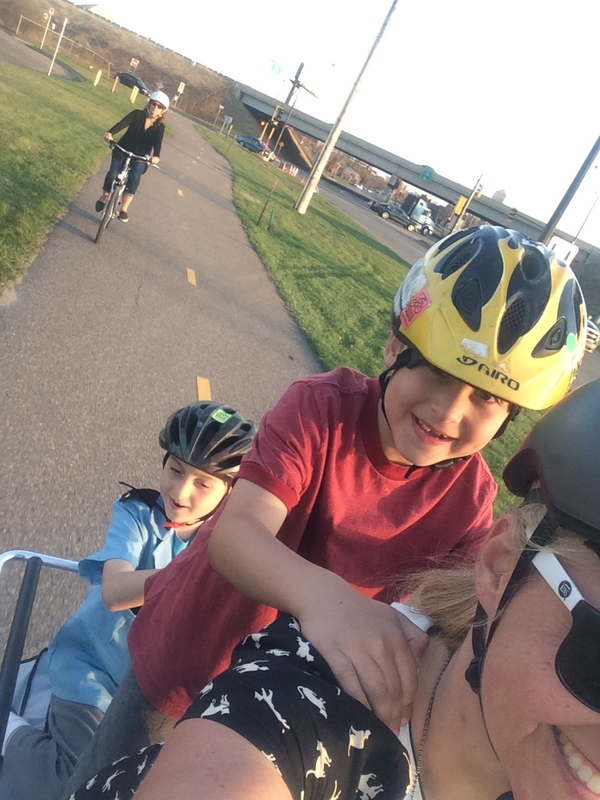 Martin, Stacy, and kids met us by bike for dinner at Surly Brewing Co which has a wonderful waiting nook for kids, kid-friendly (i.e. spacious) seating both inside and out, and little bins of toys/puzzles for each table of kids. 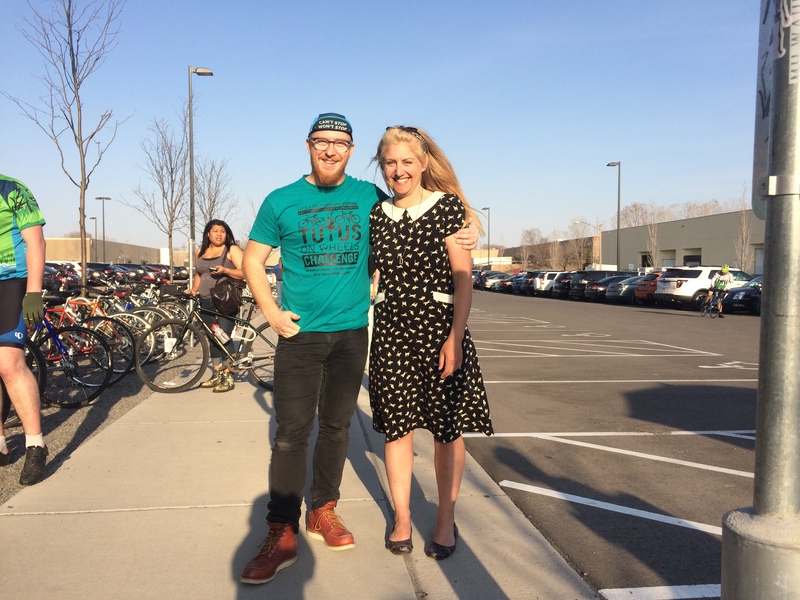 It was also the gathering spot for a #30daysofbiking ride so even though it was too late for us to go riding more, I got to meet Patrick! I think this was also the first time my six-year old thought standing on the deck would be fun so that was a recurring motif for the rest of the week. I love that my older kid’s birthday always falls during Spring Break! Last year we were in Victoria and spent the big day camping, hiking, and dining on sushi and cake in town (with special police station tour two days later!) 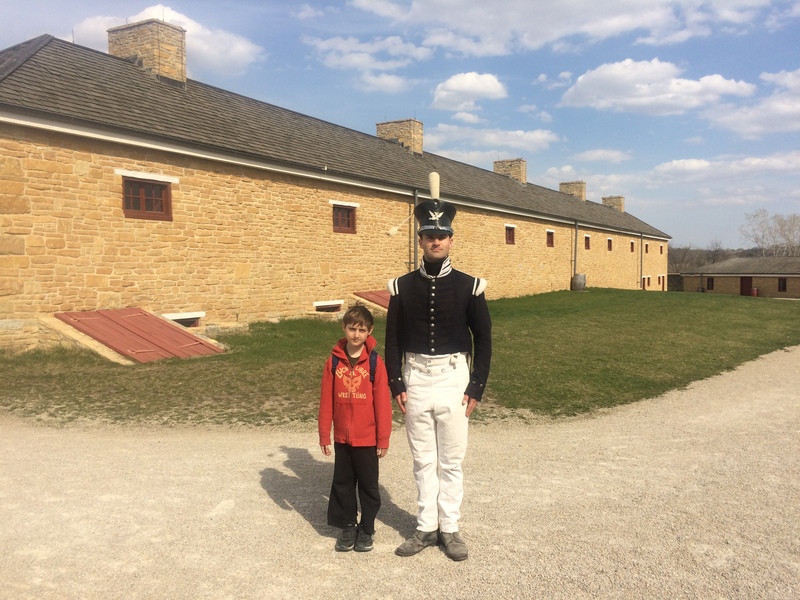 but this year he’s more into military stuff than police stuff so we biked to Historic Fort Snelling. It was a long, but awesome ride over. Martin advised us to stay on the east side of the Mississippi River until Minnehaha Falls, where we stopped for lunch waterfall oohing and aahing, and a playground where the Xtracycle got a ton of admiring glances. The trail between the falls and the fort was pretty and woodsy and then a section alongside the highway. 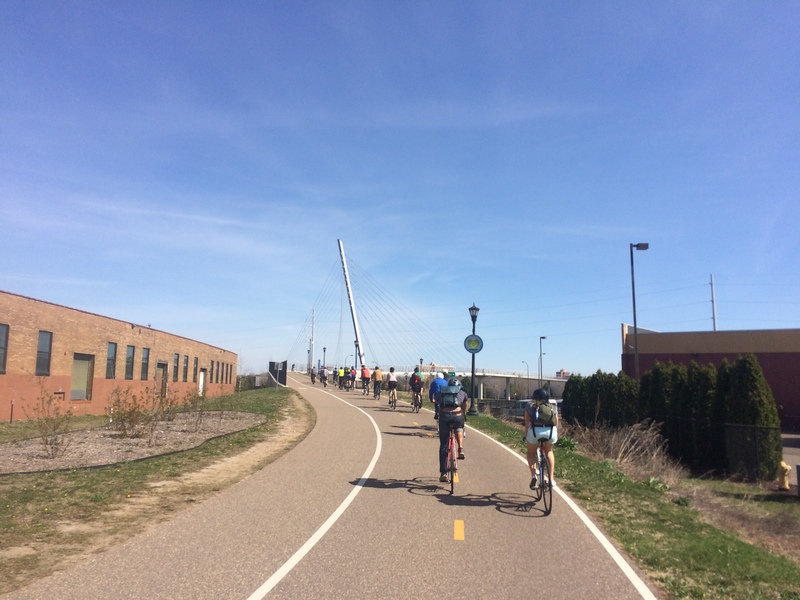 I kind of like highway-side bike trails–it feels like something built especially for bike access to a spot most people would only think to drive to. The last little bit was up a hill. A hill so steep I had to kick the birthday boy off the bike so I could make it up. I guess it’s good for a fort to be on top of a hill–better view of approaching enemies and all that. One hill in one week isn’t bad. Note: it wasn’t yet Fort season. I figured we’d just ride over and explore around the closed grounds, but we got incredibly lucky and it had just opened that day for its first school group of the season and they let us in! 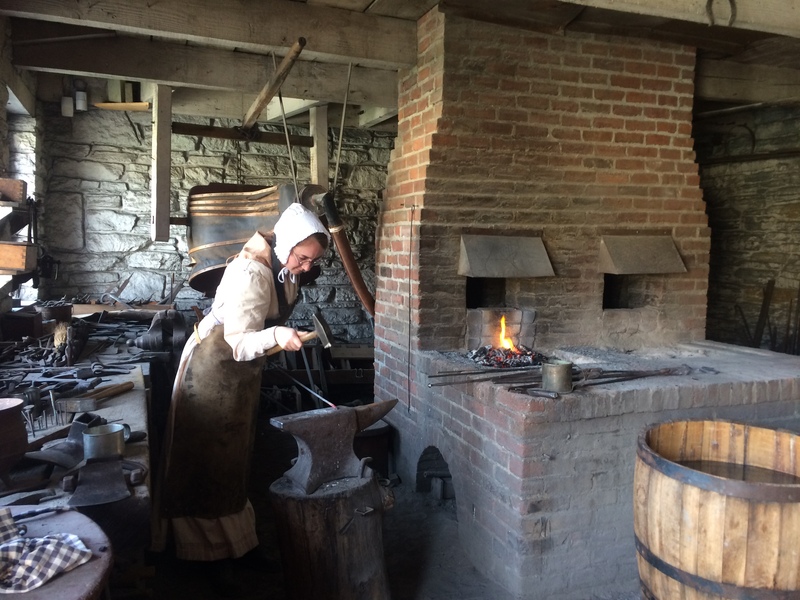 The blacksmith made my birthday boy a nail and someone too official to be in period costume unlocked the gift shop/bar and gave the kids pins after he’d overheard we were special birthday visitors. We met our hosts back in town for sushi birthday dinner and then cake at home. 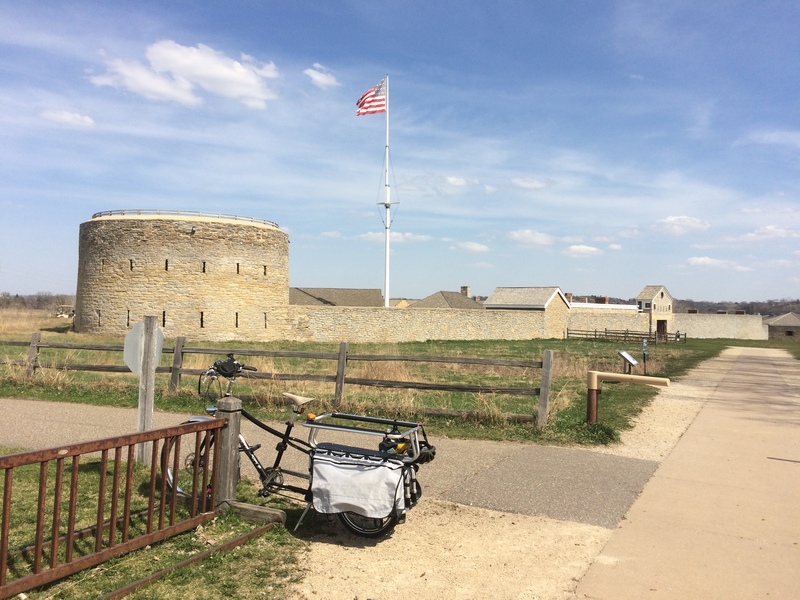 Not that Fort Snelling wasn’t super fun on Friday, but Saturday was my day! We followed Martin to Perennial Cycle for a morning of 30 Days of Biking stuff. Music from Ben Weaver, giveaways and doughnuts from Banjo Brothers, and an Urban Cycling talk by me! I got to meet some friends in person for the first time and our friend, Tom, who recently moved to Minneapolis from Seattle was there on his Big Dummy. 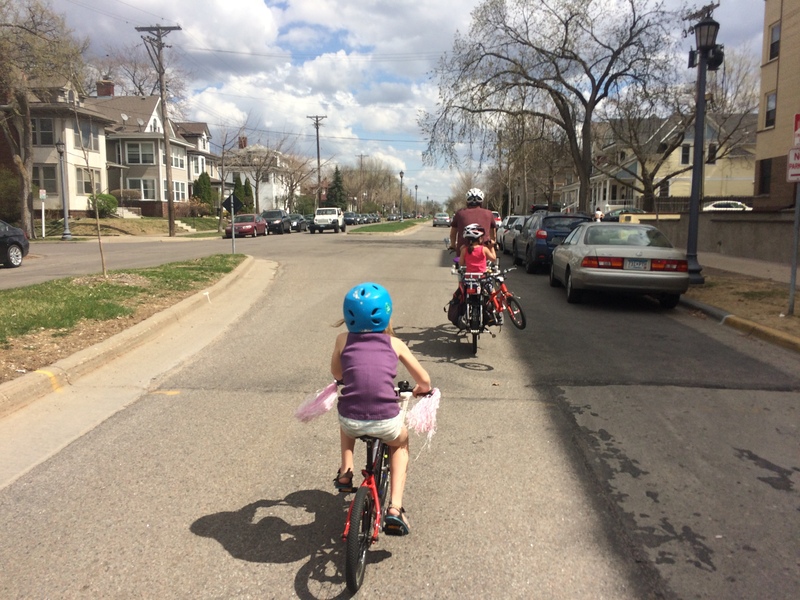 And then we joined the Pastry Ride to a street fair (with bounce house!) and that was AWESOME. 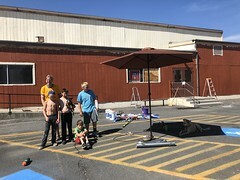 We left the bounce house with Martin and Tom (and the kids opted to ride on Tom’s Big Dummy and there was no deck surfing) for more fun “me-type” stuff. First up we rode to Peacock Groove to meet Eric Noren and a bunch of amazing “deep custom” bikes. 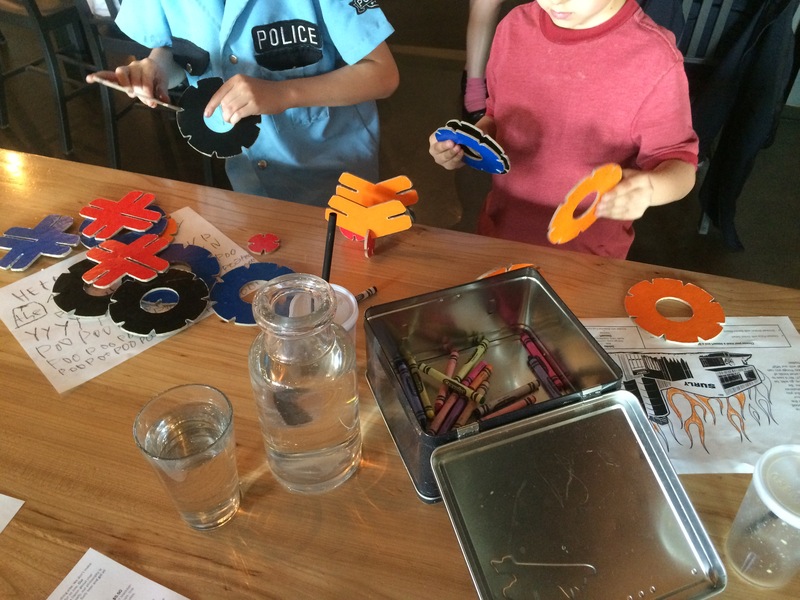 And then we went to One on One Bicycle Studio where Surly Bikes was leading a big gravel ride that we didn’t take part in, but I enjoyed the bike shop (and adjoining cafe) and the kids got little grenade-shaped bike locks that they [obviously] love. Then the bestest part of all the best parts and there were so many best parts to the week! 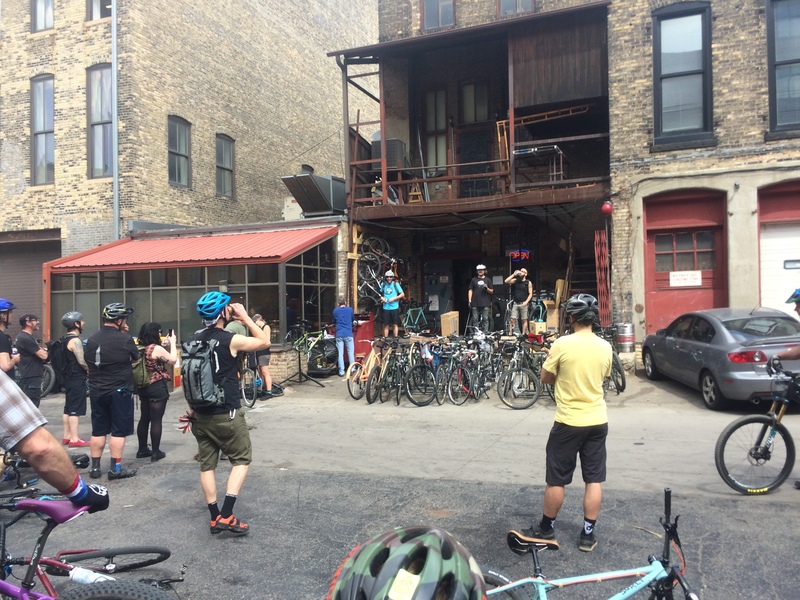 All the old crew got together for a bike biking-with-kids brewery tour! For most of it we were six adults and six kids on bikes, but all told there were nine adults and six kids, some of whom I hadn’t seen since one of the weddings, five collective kids ago! I think Martin had mapped out five or six breweries, but we only made it to three before it was way too late to be out still. 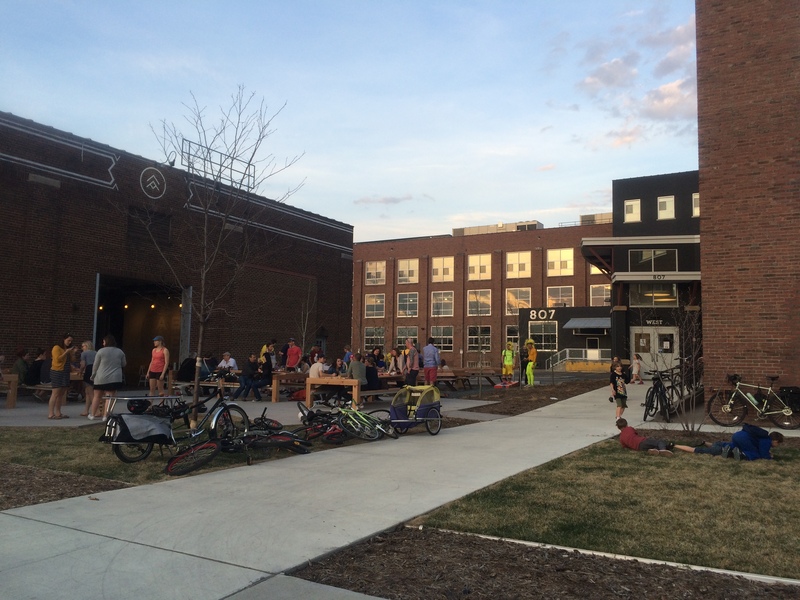 Community Keg House, Able Seedhouse + Brewery, and Bauhaus Brew Labs were also kid-friendly and adult-friendly. We all had the best time! Our last day allowed some time to play before our flight so we met Tom and kids and James and kids at a park to get some wiggles out before our long sit–so that made for eight kids! And then back to Perennial Cycle to return the Xtracycle because it was too big to hide in my suitcase. In case I didn’t mention it already, WE HAD THE BEST TIME EVER. It certainly helps having friends to show one around, but we did fine for our many trips where I just let Google maps tell me how to get from point A to point B. If you’ve been thinking about visiting Minneapolis, do it! And if you haven’t been thinking about it, add it to your list now. And tell me if I missed something I should have done so we’ll know for next time. I don’t know when we’ll be back, but we’ll be back for sure! And Minneapolis friends: please come visit us in the meantime! Or maybe I just need to visit :) And vice versa!